On March 31, 2014, the MyMagic+ tool was made available to all guests of the Walt Disney World resort after months of beta testing. The tool itself consists of the My Disney Experience app and website, and the MagicBand. On the website, guests can choose in advance on which rides they wish to get a FastPass, make dinner reservations, and maintain their accommodation information. All of that information then links to the MagicBand, which also serves as a ticket inside the park; the band also holds information about PhotoPass, allows for easy purchasing, and acts as a room key. The band itself contains an RFID chip which stores all the information, and can be reused for any other Walt Disney World vacations. Posted in Uncategorized and tagged 2010s, Attraction, Disney Park, Walt Disney World. Bookmark the permalink. On March 30, 1913, Marc Fraser Davis was born in Bakersfield, California. After moving around several times due to his father’s job in oil fields, Davis enrolled in the Kansas City Art Institute after high school, which was followed by enrollments in the California School of Fine Arts and the Otis Art Institute. In 1935, Davis was hired by Disney as an apprentice for Snow White and the Seven Dwarfs. He soon rose through the animator ranks, working as a story sketch and character designer for Bambi and Victory Through Air Power. He continued to work on Disney animated features as a character designer, and is particularly known for creating the looks for Tinker Bell from Peter Pan, Alice from Alice in Wonderland, and Cruella de Vil from 101 Dalmatians, among others. Davis was also an animator for several key short films, including Duck Pimples and Toot, Whistle, Plunk and Boom. In the mid-50s, Davis began working for Walt Disney Imagineering, working as one of the original Imagineers on such attractions as it’s a small world, Pirates of the Caribbean, and The Haunted Mansion. His wife and fellow Disney Legend Alice also worked with Disney park attractions, creating costumes for the audio-animatronic characters. 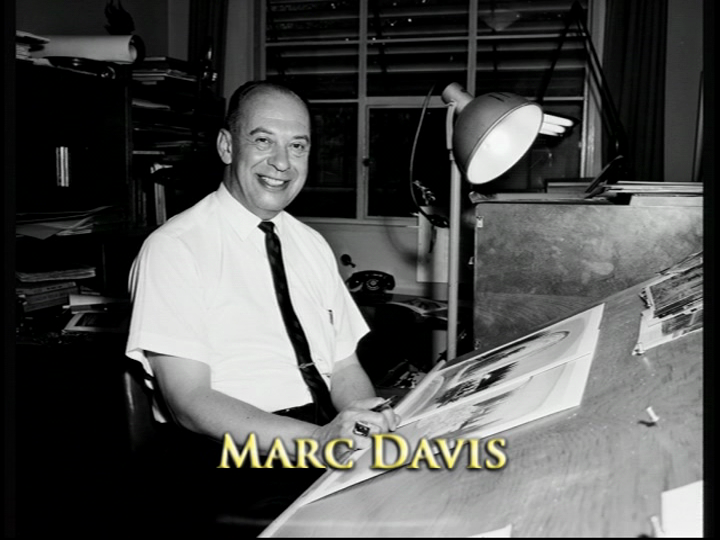 In 1978, Davis retired after 43 years at Disney, but continued to work in a consulting role. He and Alice continued to support the California Institute of the Arts. In 1989, Davis was honored with the other Nine Old Men as Disney Legends. In 2000, Davis passed away at the age of 86. Posted in Uncategorized and tagged Animated Feature Film, Animator, Births, Disney Legend, Feature Film, Nine Old Men. Bookmark the permalink. On March 29, 1985, the Frontierland Shootin’ Arcade opened in Disneyland. This attraction, with the original Shooting Gallery opening on July 12, 1957, was completely remodeled to be entirely electronic, using infrared beams to hit the targets than any form of bullet. Guests use replica .54-caliber Hawkins buffalo rifles to shoot targets at Boot Hill in Tombstone, Arizona. There are more than 100 targets, with comical results depending on the target hit. Use of the arcade involves an extra fee, with each credit earning 25 shots; this makes it one of the three attractions in the park that require an extra fee, with the other two being the Main Street Penny Arcade and the Starcade. The attraction has since been renamed the Frontierland Shootin’ Exposition. Posted in Uncategorized and tagged 1980s, Attraction, Disney Park, Disneyland Park, Interactive Attraction. Bookmark the permalink. 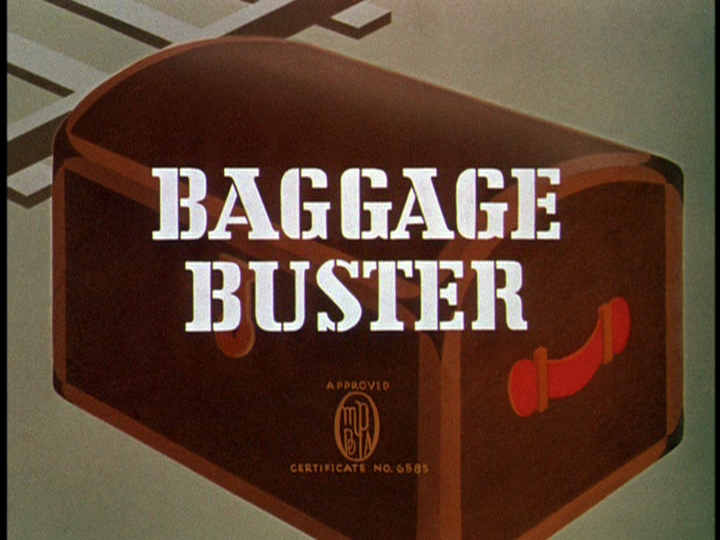 On March 28, 1941, the Goofy short film Baggage Buster was released to theaters. It was directed by Jack Kinney. Goofy is busy at work at the telegram office, capturing a message about a magician’s trunk that must be on the 5:15 train. He then attempts to take the trunk to the train, but it falls away from him, leaving him holding only the handle. Goofy is surprised to see the trunk on the platform and not on the car, and when he goes to retrieve it, a black top hat pops up. Goofy decides to put the hat on, and is surprised when it not only starts moving, but releases several animals. He tries to recapture the rabbits in the hat, but the rabbits multiply before returning by their own accord, save for one that Goofy chases. Goofy ends up diving into the hat after the rabbit, and it sent out by a giant palm tree. When he finally manages to get the hat back in the trunk, the trunk levitates, taking Goofy with him. Goofy continues to have trouble with the trunk, as it seems to play tricks on him. At one point, he throws a red towel out of the trunk, which then makes a large bull appear. The bull sees Goofy wave the red towel and charges, but disappears into the towel again. When he waves the towel, a kangaroo jumps out and starts punching Goofy. The towel causes Goofy more problems than the trunk, particularly when it turns his head into a fishbowl full of water. Animals from the towel surround the depot, and suddenly he hears the sound of the 5:15 train. Goofy scrambles to get everything back in the trunk, and barely manages to get it on the train…so he thinks. On March 27, 1989, the Walt Disney World Casting Center opened. Designed by architect Robert A. M. Stern and contracted by H. J. High Construction, the 61,000 square foot building is known as the place where those who wish to work at Walt Disney World submit their applications. 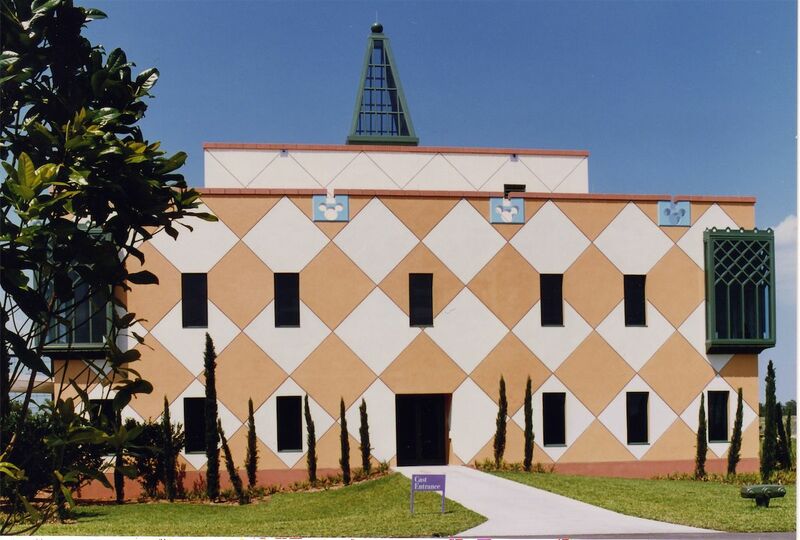 The building is also known for its peculiar diamond design on the outer walls, earning it the nickname of the “giant argyle sock.” Many aspects of hiring take place in this building, including new-hire administrative processing, and scheduling for the first day of training. Posted in Uncategorized and tagged 1980s, Disney Park, The Walt Disney Company, Walt Disney World. Bookmark the permalink. 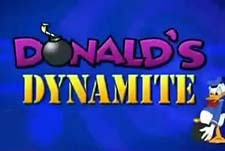 On March 26, 1999, the Mickey MouseWorks short film Opera Box from the Donald’s Dynamite series premiered in theaters in front of the animated feature Doug’s 1st Movie. It heavily features the piece “Coro di zingari” from Giuseppe Verdi’s opera Il trovatore. The short was directed by William Speers. Daisy has taken Donald to the opera, although he equates going to the opera with taking a nap. Daisy asks Donald to grab her lipstick from her purse, but when he does, he finds a bomb in there instead. He tries to put out the bomb’s fuse, but to no avail. The amount of water he tries to use increases, until he finally resorts to throwing it back into Daisy’s purse and having it explode in there. Fortunately for Donald, the bomb does little damage, and pops out Daisy’s lipstick into his hand. She thanks him for the lipstick, but is less than pleased when it melts all over her hand. Posted in Uncategorized and tagged 1990s, Color, Donald Duck, Mickey MouseWorks, Short film. Bookmark the permalink. On March 25, 1947, Sir Elton John (born as Reginald Kenneth Dwight) was born in Pinner, Middlesex, England. As a young boy, John showed great promise for music, being able to play the piano starting at the age of three. After taking formal lessons at the age of seven, he was awarded a scholarship to the Royal Academy of Music at the age of 11. A keen composer, John met lyricist Bernie Taupin in 1967, and the two collaborated on several hit songs for other artists. John’s first album Empty Sky was released in 1969, but it was the second album Elton John in 1970 that established John as an artist with the top ten hit single “Your Song.” Between the years 1970 and 1982, Elton had 30 hits under his belt from 15 albums. In the early 1990s, John was asked to work with lyricist Tim Rice (known for his work with Andrew Lloyd Weber) for a new Disney animated feature, The Lion King. The film was a smashing success, with John and Rice earning three Academy Award nominations for “Circle of Life,” “Hakuna Matata,” and “Can You Feel the Love Tonight,” with the latter winning the award. In 1997, the film was then translated to the Broadway stage, with most of the songs intact. John and Rice collaborated again for Disney with the creation of the 2000 Broadway Musical Aida, which would go on to win three Tony Awards, including Best Original Musical Score. John has continued to stay busy in many areas, including theater, charity, and of course, music. He was knighted in 1998 to become Sir Elton John, CBE, for his humanitarian efforts in fighting against AIDS, and was further honored in 2004 with a Kennedy Center Honor. 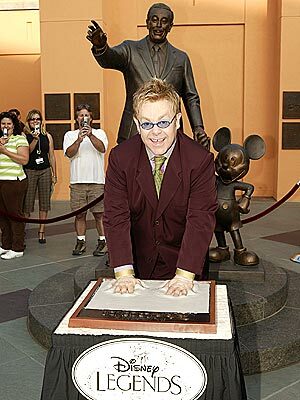 He was honored as a Disney Legend in 2006. Posted in Uncategorized and tagged 1940s, Academy Award Nominated, Academy Award winning, Animated Feature Film, Births, Broadway, Disney Legend, Music. Bookmark the permalink.